It seems that Pennsylvania is going to get the first satellite casino which would be opened in Morgantown as Penn National Gaming received the green light to launch this project and make it happen. 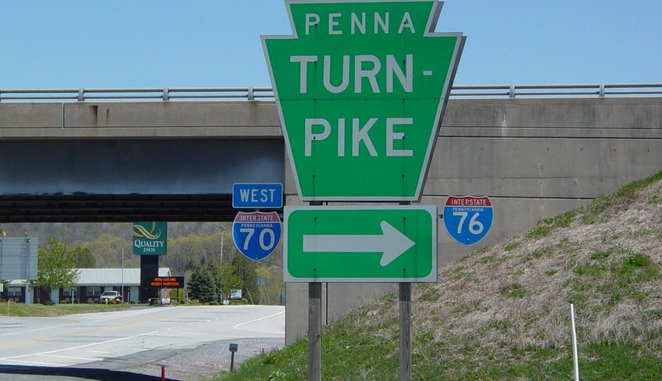 The first satellite casino in this state would create additional $94.3 million for the state of Pennsylvania, and the officials were happy to proceed with the whole process, but they stumbled upon an obstacle as the locals don’t like the idea at all. The satellite casino was unanimously approved by the Caernarvon Township Board of Supervisors after they held a meeting and voted on this project. A couple of local residents attended this meeting, and many of them tried to raise the voice of the people of Pennsylvania who strongly opposed the idea of a satellite casino in their state. However, the board did not take objections into considerations and gave the green light for the casino only based on the figures which showed how much income is the casino supposed to bring to the state budget. The name of the casino will be Hollywood Casino Morgantown, and Penn National expects that it will create a total of 255 temporary jobs during the construction, with an additional 250 permanent jobs once the construction is completed. The result of building this casino is receiving an annual income of approximately $1.6 million in taxes. The satellite casino was planned after the lawmakers of Pennsylvania approved a bill that included gaming expansion. This expansion enabled the building of more gaming facilities in the state. Penn National was against it at first and even tried to put a stop to the whole thing, but the bill eventually won the battle. Not long after this dispute, the Penn National gave up and started supporting the bill. The satellite casino will be built the casino operator who placed an offer which was just over $50 million. The York County was chosen for the venue, and Morgantown was selected for the satellite casino. From the logistics perspective, Morgantown is a perfect choice as it is only 20 minutes ride from the fifth biggest city in the state. Furthermore, it takes 30 minutes to get to the Main Line and 40 minutes to reach Lancaster. However, this casino is not going to be the only one as several more are planned in this state. Although the people of Pennsylvania seem to oppose the idea, the officials are going to proceed with building casinos anyway. One of the places selected for the second satellite casino is Shippensburg. The entire casino saga in Pennsylvania will probably reach a happy ending with casinos operating without being obstructed, and the citizens of this state eventually settling for the fact that casinos would probably do more good than damage as they will create more jobs and fill the state’s budget with huge annual income. However, we cannot make any predictions, so make sure to follow the news related to Pennsylvania satellite casinos! A Strange European Casino Project to be Financed by a Pharmaceutical Company?